Most of us have entered the twilight zone of worship announcements at some point. A person approaches the pulpit with the same gait as one walking the plank. A piece of paper unfolds, multiple times. The throat clears… loudly. What follows is usually awkward, many times painful, and sometimes memorable in all the wrong ways. In one of my churches I had to kill the death announcements. Historically, the church began worship services by announcing all member-related deaths. Nothing screams “Let’s worship!” like announcing Aunt Geraldine’s funeral. Those minutes are valuable. Every moment in a corporate gathering is important and should bring glory to God. Church leaders should guard the congregation from the black hole of endless droning about next Thursday’s fish fry. Additionally, church leaders should guard less skilled communicators from the undeserved pressure of performing in an area they are not gifted. 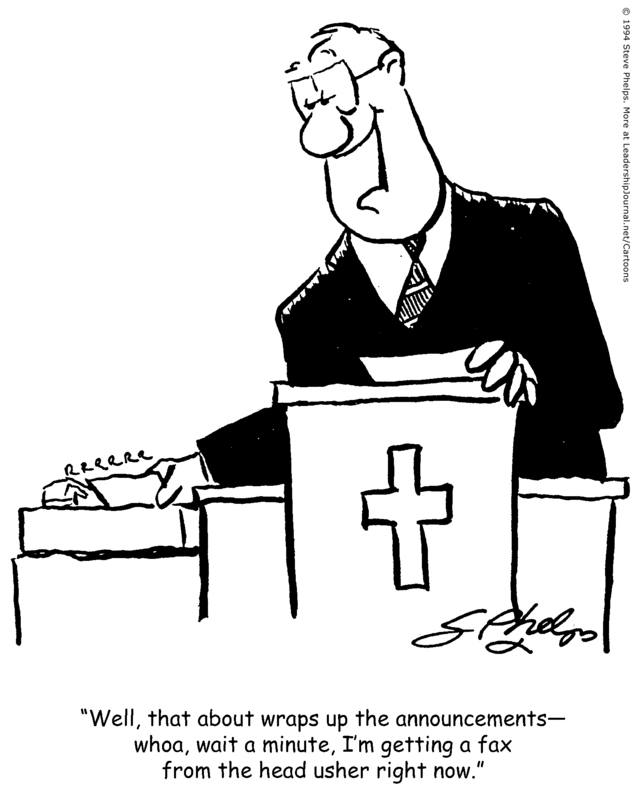 There are times when it is edifying for an unskilled communicator to share something with the entire congregation. Such moments can be powerful. Making an announcement is not that moment.